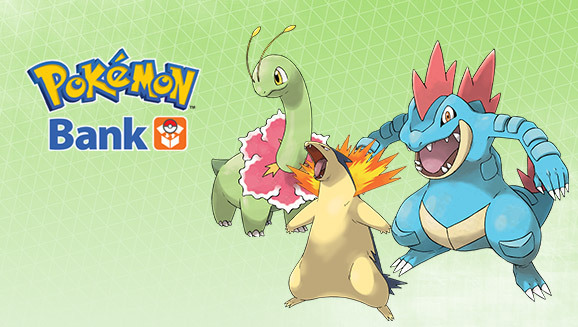 The trio of final evolutions to Johto's starter Pokémon are to be available to all users of Pokémon Bank for a limited time. Starting now through November 30, 2015 anyone with Pokémon Bank can use Pokémon Link with X, Y, Omega Ruby, or Alpha Sapphire vesrions to receive all three Pokémon. Meganium, Typhlosion, and Feraligatr will all be distributed at level 50 and with their hidden abilities. You can check out those abilities after the jump!